Your new custom SEM reporting solution represents a substantial investment of time and money for your agency. You’ve invested time and money in creating it, and now it has the potential to drastically increase your productivity and help your employees deliver exceptional value to your clients. To begin, if you’re working to create a custom solution, you should include some of your future users in the initial design process. 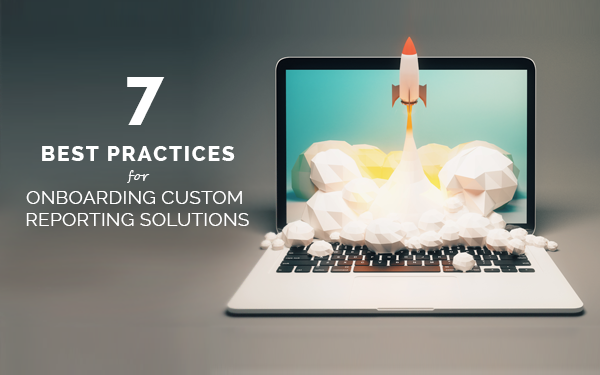 Getting them involved during these early stages will ensure the solution will be effective for the users — and help your onboarding process go smoothly later. Bringing users in early in the process will also help build support for your solution — and create a group of champions that can aid in the onboarding process. In our years of custom development experience, we have always seen clients who do this achieve the best results. When it’s time to help your team learn to use the SEM reporting tool you’ve worked so hard to create, follow these seven best practices for the best results. Does this person have experience with data management? Do they have time to oversee reporting data? Can they accurately interpret the data? Can they communicate the data results to the rest of the team? Whoever is going to use the reporting solution needs to understand the value proposition and be able to accurately convey it to your clients and your employees. Now that your employees understand the brief and the value proposition, they’ll need to learn how to navigate the new technology. Here are some ways to reduce friction as people get started using the reporting solution. Allow users to participate in onboarding training/lessons with the SEM reporting solution developer. Make sure the reports are intuitive and readable (customize them as needed). Reduce cognitive dissonance by making sure the training and messaging match the employee experience. Encourage employees to ask questions as they interact with your SEM reporting tool. Some employees will want a clearly defined roadmap and a lot of hand holding. Other users will want to get started and learn as they go. Give your employees options for how to get started with the reporting. technology. Not everyone will use the software in the same way. Plan out who will use the system and which KPIs they will need to track. Make sure it is easy to identify and interpret these specific statistics. One way to accomplish this is by creating user personas. Social Media Susan: Susan will need to track social media stats only. Specialize her training around how to extract social stats from the reporting solution. AdWords Adam: Adam cares about how your clients are represented by Google AdWords. He’ll need access to CPC stats and other AdWords-related data. Efficiency Ella: Ella is concerned with how much time and money is exhausted to reach your marketing goals. She will need to have access to stats that reflect campaign costs like cost per click or per lead, budget remaining, click-through rates, any client-specified ratio tolerances, or targets like impressions to clicks. Set up a GoToMeeting, Skype call or Slack Video Chat with the SEM reporting solution developer. Allow employees to attend additional trainings if desired. Identify who is in charge of the employee onboarding and make that person easily accessible during the work day. Send weekly emails explaining a specific feature. End each email with a single call to action for employees to practice using this feature. If you decide to send emails, make sure they are tailored to the aforementioned user personas. In order to properly diagnose a problem, you first need a clear goal. If your reporting technology is unable to meet this goal, change the layout or reported stats as quickly as possible. Someone on your team should be in charge of analyzing your SEM reporting system and recognizing when it needs an update or a modification. Set regular reminders to analyze the effectiveness of the solution.